Home /French Jews: Out of the Frying Pan, into the Fire? In an interview with the Times of Israel, Malcolm Hoenlein, the executive vice president of the Conference of Presidents of Major American Jewish Organizations suggested that French Jews have “plans in place” to immigrate to the State of Israel. Hoenlein cites security concerns as the impetus for his warning. There are “whole areas in France where the police don’t venture, and where Jews and Christians don’t go,” Hoenlein said. If in fact it is true that France has neighborhoods too dangerous for Jews to enter, then France should be in good company, at least according to Hoenlein. Last time we checked, Gaza, East Jerusalem, and about 60% of the West Bank weren’t known to be neighborhoods that Jews typically venture into. (To be clear, we at True Torah Jews are not advocating for a Jewish presence in these areas, quite the contrary; we are simply asking why Hoenlein holds France to a different standard than he does Israel?) The remaining portions of the West Bank, unfortunately do have a strong Jewish presence, but are these settlements really safe? Should Jews really be living in these neighborhoods? It’s doubtful that any of the Presidents of the Major American Jewish Organizations that Hoenlein represents would consider living in an American neighborhood where entire families have been slaughtered in their homes. This is the unfortunate life that the settlers have chosen for themselves, a life which people like Malcolm Hoenlein apparently do not condemn. ( In a 2013 interview, when asked if he supported the continued expansion of settlements, Hoenlein responded by saying “My personal views are not relevant. I believe that we have a right to Israel, but we also have a right to say that in the interest of peace we will make concessions.”) And even within Israel proper, terrorist attacks have recently been occurring on a near daily basis. What kind of life is that? Can one honestly say that the situation in France is worse? It is of course true that France has had its share of terrorist attacks, attacks which have targeted both Jews and non-Jews alike. But the frequency of these attacks pales in comparison with the ongoing terror occurring in the State of Israel. Surely, a thinking person cannot justify French Jews leaving their country of origin based on Hoenlein’s irresponsible analysis. Besides, whatever dangers Jews might face everywhere are the result of the mistaken association of Jews with Zionism. The Zionist state is like the fire that heats the frying pan of anti-Semitism in the rest of the world. From this perspective, the best move for French Jews is to stay in their homeland and disassociate themselves from the State of Israel, instead of making plans to move there. Also interesting to note is that in the very same interview, Mr. Hoenlein speaks of his concern regarding Iran violating the recent nuclear deal. “You know that they’re not going to keep the agreement,” Hoenlein said. If Hoenlein is genuinely concerned that Iran will violate the agreement and work toward acquiring a nuclear weapon, why is it that he suggests French Jews have “plans in place” to leave France for Israel? If the goal is to escape supposed danger, why flee to a country that according to Hoenlein is under threat from Iran? 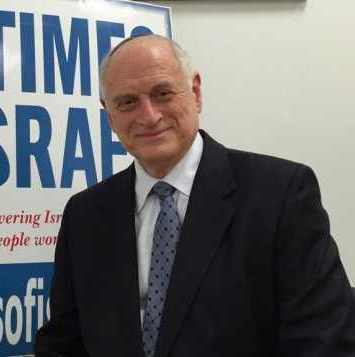 There can be only one reason why an otherwise intelligent person like Malcolm Hoenlein would simply repeat canned Israeli talking points and ignore such blatant realities: his objectivity has been blinded by his Zionist ideals. It has long been the goal of Zionism to wreak havoc for Jews around the world. With an increase in anti-Semitism, Zionists believe their cause has further justification. In fact, Theodor Herzl wrote that “the anti-Semites will become our most dependable friends, the anti-Semitic countries our allies.” A State of Israel is necessary, the Zionists claim, in order to save Jews from impending doom. The conscience observer, however, will recognize that this impending doom is nothing but a smokescreen created to further the Zionist agenda of mass “aliyah.” There is and there always has been anti-Semitism in the world, but it’s Zionist leaders who have fueled anti-Semitism to unprecedented proportions by falsely claiming to represent the Jewish people. As a result of this false claim, many tragically conflate Zionism and Judaism, when the truth is, the two are diametrically opposed. Malcolm Hoenlein may be Jewish and he may be influential, but when he speaks, he speaks for himself and as a representative of the organizations who selected him to do so. He does not, however, represent Judaism or the Jewish people at large.